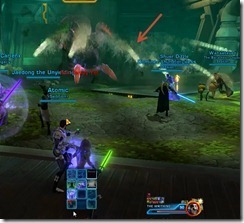 This is the boss strat for The Writhing Horror, the first boss in SWTOR Terror from Beyond TFB Operation in Patch 1.4. Included are strats for both storymode and hardmode. Burrows in/out Tanks need to use their gap closers and leap/jump to the boss ASAP when he reappears. Otherwise he will spit stuff at the raid. You do not lose target when the boss disappears so just spam your gap closer as soon you see the boss pop up. 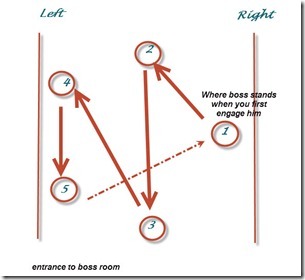 There is a set pattern on where the boss will appear next after he burrows in. Tank Swap Tank swap on the main boss everytime you see the Jealous Male spawn. Boss puts a Incubated debuff on whoever tanking it. 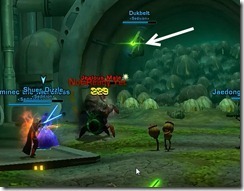 Red Circles One red circle will spawn on the raid. It will usually spawn where the “flowers” are located on the ground. Don’t stand on the flowers unless you are assigned to red circle duty. 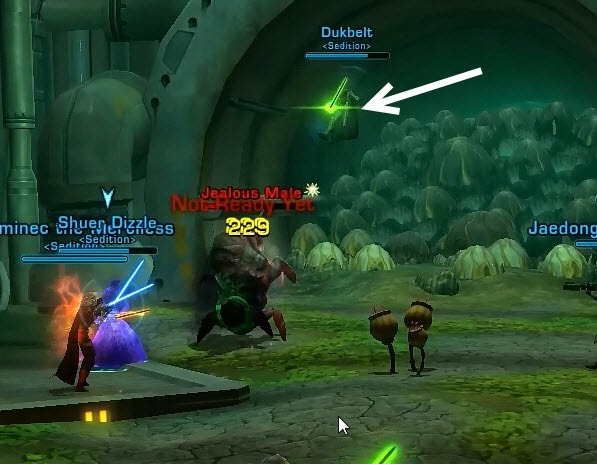 Assign people on red circle duty (healer/DPS). 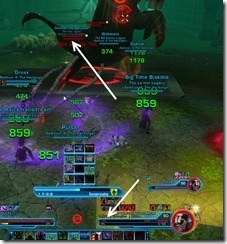 You can’t have a single person doing it as he/she will receive a debuff when they exit the circle. Usually 4 players is a good number. Learn the locations of the 3 flowers on the ground and don’t stand on them during the fight. One of them will become a red pool when the Jealous Male spawns. After he appears from the ground, he will spit at the raid unless someone has threat (i.e. tank) in melee range. Tanks will need to use gap closer on him ASAP. Failure to do so will cause him to spit at raid, causing raid wide damage. This is the pattern he uses when burrowing. It is a 5 point star essentially. He will go back to point 1 and repeat the pattern. If your tank is quick, you will get 1-2 spits on the boss from the boss maximum. The damage is fairly small and can be easily healed through. 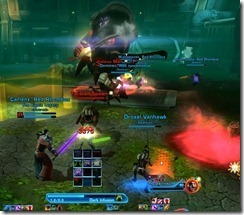 The tank tanking the boss will get stacks of a debuff called Incubation from the boss. This debuff doesn’t always land everytime (can be dodged) so you may get different stacks of it everytime. The maximum stack this debuff will go to is 10. The number of stacks of Incubation determines how many Foul Offspring will spawn ( see below). 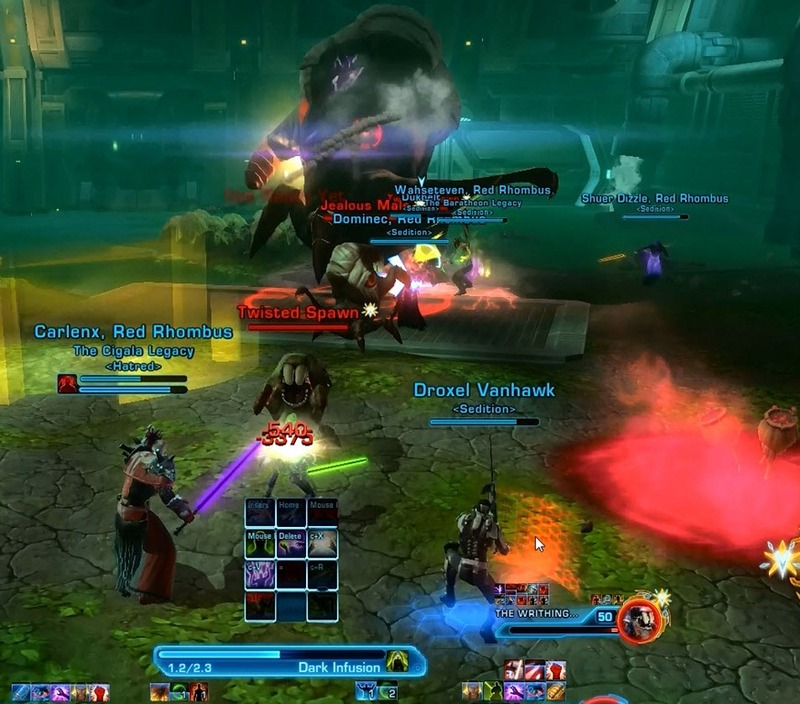 Generally, we tank swap every time we see the red text emote for Jealous Male spawning.The tank that was on the boss would grab the Jealous Male and erase his stacks of Incubation to spawn Foul Offspring. 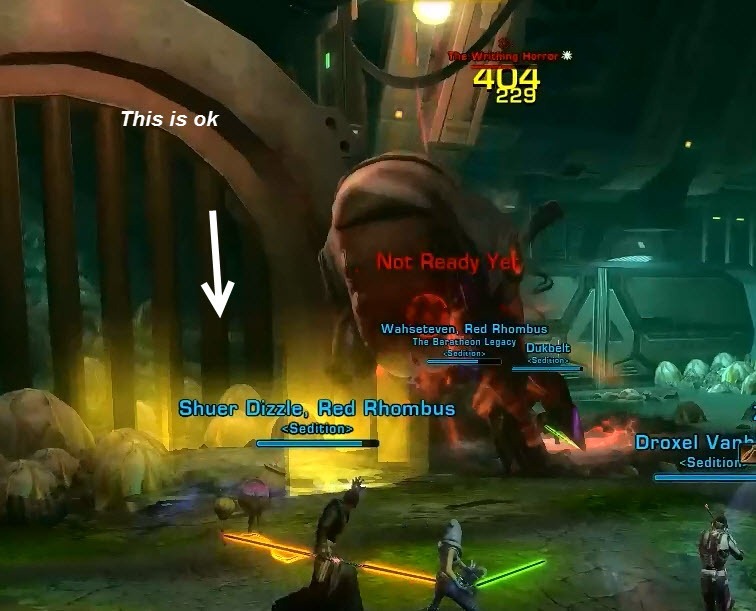 There is a red text on your screen when he spawns – A Jealous Male Has Arrived to Defend His Mate! When the Jealous Male spawns, one of the flowers on the ground will also turn into a red blood pool, this pool is used for the Foul Spring that will spawn right after. Jealous Male has a cleave and knockback, tank him away from the raid. 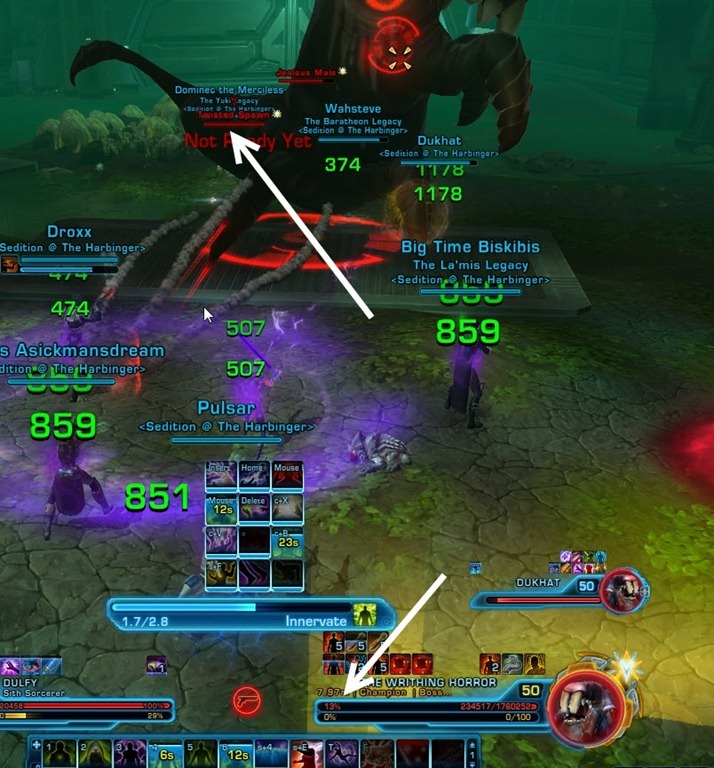 You should have the tank swapped here and have the tank with the Incubation debuff tanking him, this will spawn a bunch of smaller adds called Foul Offspring depending on the # of stacks of the debuff. Make sure the tank is not tanking the Jealous Male near the red pool as the knockback from the Jealous male can knock the person in the pool out of it. The red pool will spawn with Jealous Male but it takes a second of mating for the Foul Offsprings to pop out. You will want to to have the assigned player to run into the red pool as soon the Jealous Male spawns and not move from the pool until the Foul Offsprings are killed. You will get a message on screen when the assigned player runs to the pool – Player X has absorbed the Calming Pheromones! 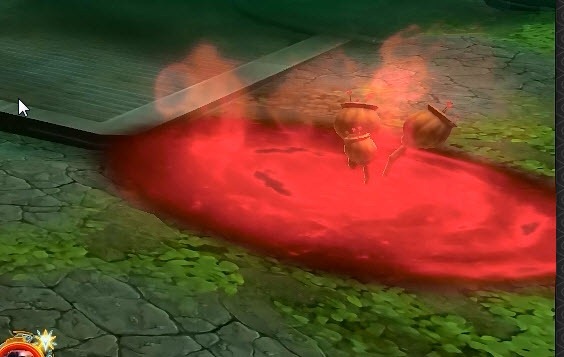 Moving out of the pool will cause the player to get a debuff called Stale Pheromones that prevent them from entering red circle again to attract the Foul Offsprings. 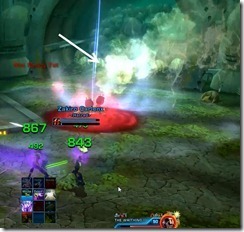 If the player does that before the Foul Offsprings are killed, the red circle will disappear and the Offsprings will run wild on the raid. This player inside the pool will attract all the Foul Offsprings to him/her. They have about a 10 second grace window where they will hardly take any damage from the Foul Offsprings. This is a perfect time for your DPS to unload their AOEs. Once the Offsprings are dead, kill the Jealous Male and then go back on the boss. This is a DoT applied to a random raid member (there is no warning but there is an animation for it) throughout the raid. The animation, however, is too fast and easily missed to be reliable. Instead, everyone should periodically check their debuff window for this icon and ask for a cleanse. 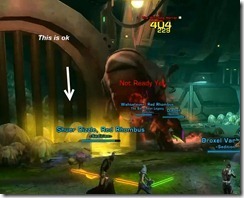 Note that on storymode there is no circle when this DoT is cleansed, that is a hardmode mechanic. Corrosive Slime Cleansing this DoT will now leave behind a yellow circle on the ground that damages anyone standing in it. This means that you only need to assign 4 players on red pool duty as the 4th Jealous Male and red pool pops at 5:15. This is a DoT applied to a random raid member (there is no warning but there is an animation for it) throughout the raid. The animation, however, is too fast and easily missed to be reliable. Instead, everyone should periodically check their debuff window for this icon. 2) Not where the boss pops up after burrowing. Once you have done that, either cleanse yourself or ask for a cleanse. Doing so will remove the debuff from you but leave a yellow circle on the ground. These yellow circles will damage anyone standing in them and persists for about a minute. Here are some examples of ok circle placement and terrible circle placement. 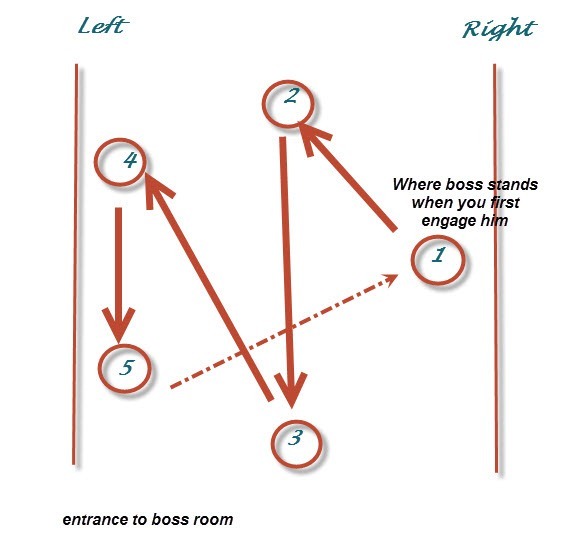 The circle placement on the left isn’t perfect but it leaves room for melee to get on the boss and the assigned person to stand in the red pool. The circle placement on the right is fairly terrible as two players basically put circles around where the boss will burrow, making it harder for melee and tanks to get to the boss. 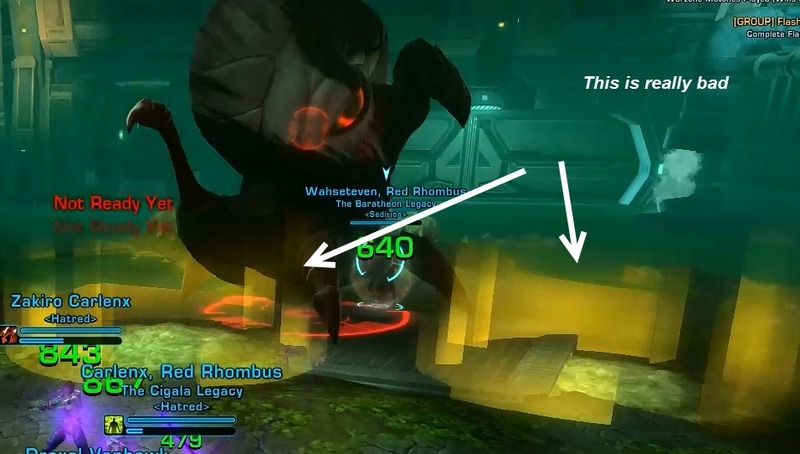 Twisted Spawns are new adds in hardmode that spawns at around/after 5 minutes into the fight (contrary to popular belief, they are not spawned at the 10% mark and but spawns anywhere from 15-5% depending on your DPS. See screenshot below with Twisted Spawn spawning at 13%). These things have 71k HP but you really shouldn’t be killing them. In addition to the Twist Spawns, you should also get the Jealous Male and the Foul Offspring to join in the fun. This is basically a max DPS burn phase, killing the boss down the final couple % before he spawns too many Twisted Spawns that wipes the raid. /offtopic but I noticed debuff icons are showing seperately in your UI from buffs and other proc effects. hmm my debuff icons always showed separately from buffs and icons and should be the case for you as well? btw can u share ui customaction? yup, here it is, zip file. What would you say the gear requirements are for this operation. you can do it in columi I think. We mainly wiped on story mode due to learning mechanics. We finished the operation with 7-manning The Terror from Beyond. So campaign is not needed. I guess that good players with columi gear could do this operation. 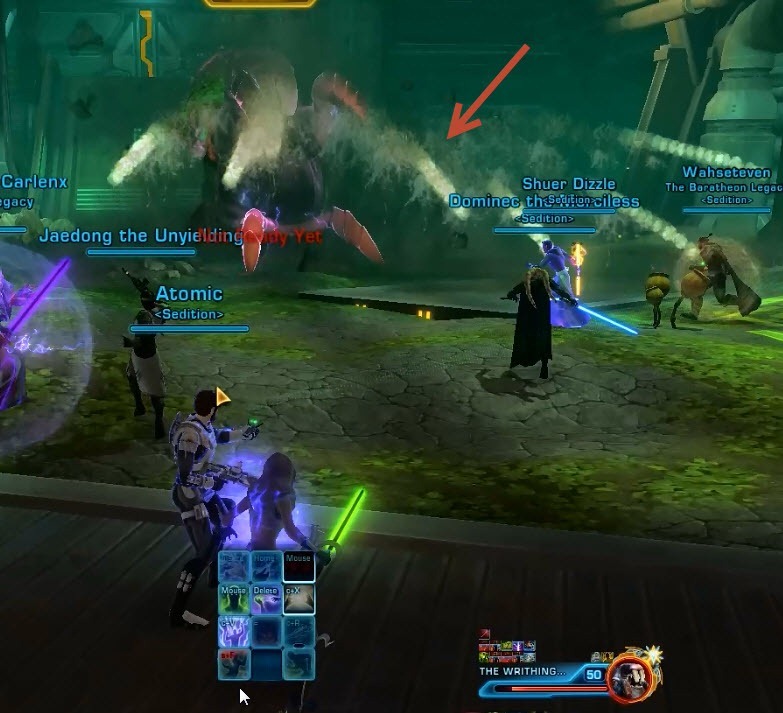 We tried it for the first time on HM yesterday but after killing both the foul offspring and the jealous male, we sometimes got a second group of foul offspring when everybody was already back on the boss (and the red circle already disapeared)… Could this be a bug or does it have something to do with the tactics? We had that problem too several times. In my opinion it is an additional hm mechanic that occurs, when the tank loses aggro. Also they seem to pretty much one-shoot the tank, you need to kill them off before they get to him. Doing Hm, we doing rather well on first purple pool. when we get to second pool, the foul offspring spawn and the mate before the red pool and because there is no pool we are wiping. Is this bugged or we doing something wrong? I believe that this is related to the Incubation debuff. The adds arrive when this debuff falls off someone. We have had the issue on the first pool if a DPS pulls aggro for a second and gets the debuff. If you’re having the issue with the second pool, are your tanks swapping back as soon as the Jealous Male goes down? Once the tanks swap, they can’t swap back until the next Jealous Male shows up.